Meetup no longer supports file uploading. To upload photos, please use the Photos section of your Meetup group; for other file types, we recommend that you use another service, many of which are mobile-friendly and free, such as Dropbox or Google Drive. Files that have been previously uploaded are still accessible below. We recommend that you save any files that you want to keep to your computer. Skaggs Tribute to Rossi Feb 2015 in GPX format. While Meetup.com has scanned these files for viruses, we recommend that you have up-to-date virus-scanning software on your own computer as well. Welcome to GroupRides Family !!! 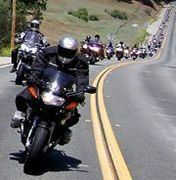 GroupRides Forum (www.GroupRides.com) is comprised of a group of local riders who get together and go on fun rides. We ride all sorts of roads, from smooth sweepers to twisties to tight and bumpy goat trails ..... from Monterey Peninsula to San Francisco Bay, the North Bay, the Inland Valleys and all the way to the Sierra Foothills. Come ride with us!!. Or better yet, Join Us. Bookmark www.GroupRides.com for GroupRides Forum. Click HERE to see our Rides. GroupRides.net is the premier calendar of all your favorite group rides and events under one roof. From local day rides, to regional adventure rides to multi-day road trips. From moto shows, to demo days, to bike nights and special events. Go ahead, click below and take your pick. Bookmark http://GroupRides.net for the rides and events calendar.